The world today is more connected than ever. This has opened up a lot of opportunities for businesses to grow, but it also introduced new challenges. As international projects and cross-cultural project teams are becoming the norm rather than the exception, project managers need to improve their intercultural communication skills, if they want to lead their teams and projects to success. In our post on intercultural competence we have already outlined how important it is for a project managers to possess this skill and how beneficial it is for businesses. 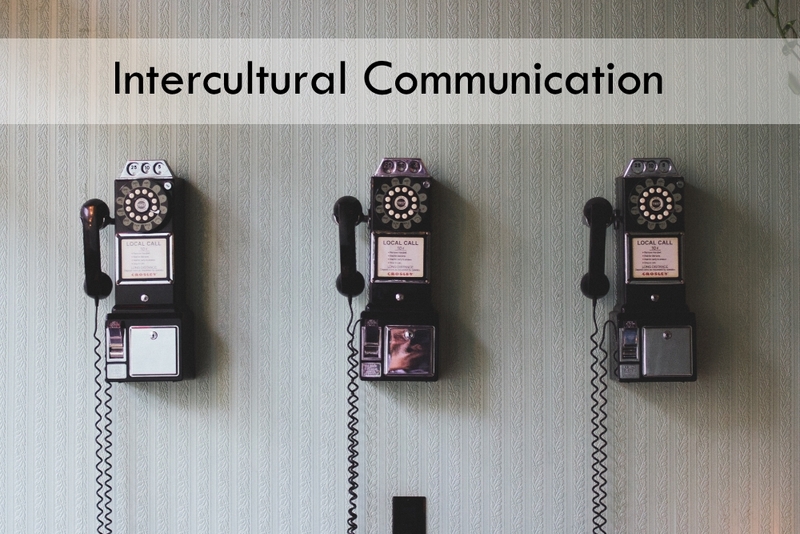 Now we’d like to focus on one particular aspect of intercultural competence: communication. The most obvious reason why we struggle to communicate effectively in an intercultural setting are cultural differences. Communicating effectively in your own language and with people with a similar background as you is difficult enough, add in a language barrier and the difficulty level increases further. Even people from countries that speak the same language can commit a blunder. Take English as an example. Even English native speakers can use different words for the same thing, or a word can have a different meaning in American English than in British English. But not only spoken language poses a challenge, understanding non-verbal cues and body language can be even trickier. It’s often said that you can only understand others if you understand yourself – the same goes for understanding culture. Most people are not actively aware how much their culture influences their behavior and view of the world. Identifying the things that are unique to your own culture makes you understand that this is true for other countries, too. You have to understand that just because someone does something differently, does not mean that it is any less valid or that it is inferior to how you would do it – it’s just that: different. Some countries emphasize the collective, whereas others value individuality more; some countries prefer directness, others prefer subtlety; and so on. Learn to appreciate the diversity of customs and viewpoints which can help you broaden your horizon – personally and professionally. Communication is not just what is spoken, very often the real message lies in what is not voiced. Learning the language and customs of a country is only the first step. The next step is to actively engage with people to learn how they use body language to convey meaning and how you can interpret certain non-verbal cues, such as nodding or shaking of the head. Did you know for example that in some Middle Eastern cultures and in Bulgaria shaking the head actually means ‘yes’? In China, the same head movement during a conversation does not mean assent, but is merely a signal to the conversation partner that they are listening? Learning the meaning of these non-verbal cues can reduce the risk of misunderstandings and confusion. If you want to avoid others misinterpreting your non-verbal communication it is better to say it with words. Nobody expects you to know everything about a culture from the get go. You can start by researching (online and/or offline), read and learn as much as you can about it. But the best way to learn is still to go out and interact with people. You should stay open and inquisitive. If there is something that seems curious to you, ask about it. People appreciate it if you show genuine interest in their culture and are happy to explain it to you. By observing how people talk and use gestures, you will get a feel of how they communicate with others. When talking with someone whose native language is not English, it is best to avoid slang words, abbreviations, acronyms or difficult idioms. People usually learn the ‘proper’ language and are often not familiar with colloquial phrases. For example, French learners are taught that you should say “Qu’est-ce que c’est?” if you want to know what something is. However, in France people will usually say “C’est quoi?” in everyday use. Improve your Intercultural Communication Skills to be a Better Project Manager - InLoox • Copyright 1999-2019 © InLoox, Inc. All rights reserved.